This is an uncut baked flexible cane. The amount of slices you get from each cane will depend on the thickness of your cut. The thinner you cut, the more slices you will get! I usually get an average of 70-85 slices when I cut a cane. 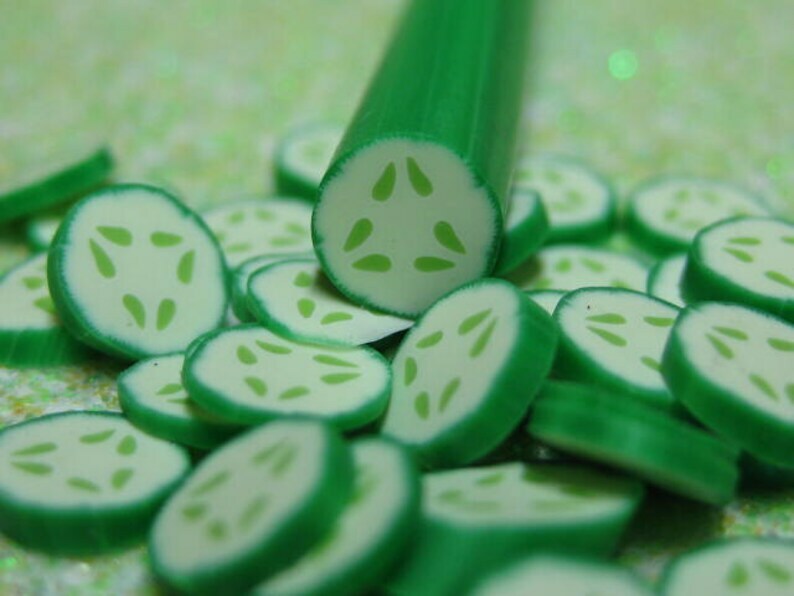 You will get less if you are making nice cucumber chunks, but you will also get more if cutting really thin. Fast shipping, great communication, great products. Would definitely recommend! Arrived in good time. Making salad!